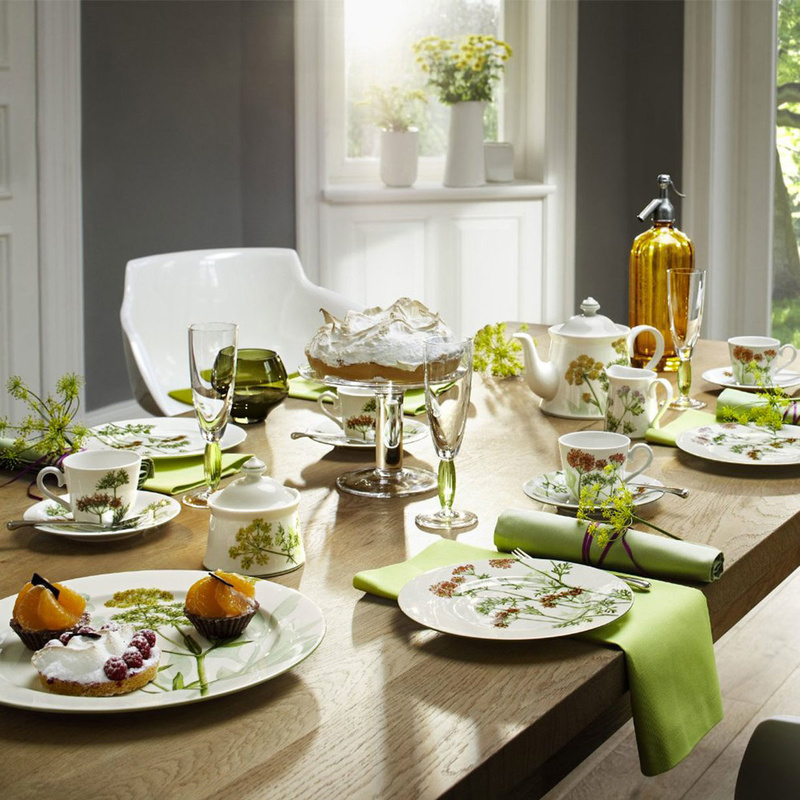 Breakfast cup Althea Nova by Villeroy & Boch: all the refinement possible in a cottage-country design. 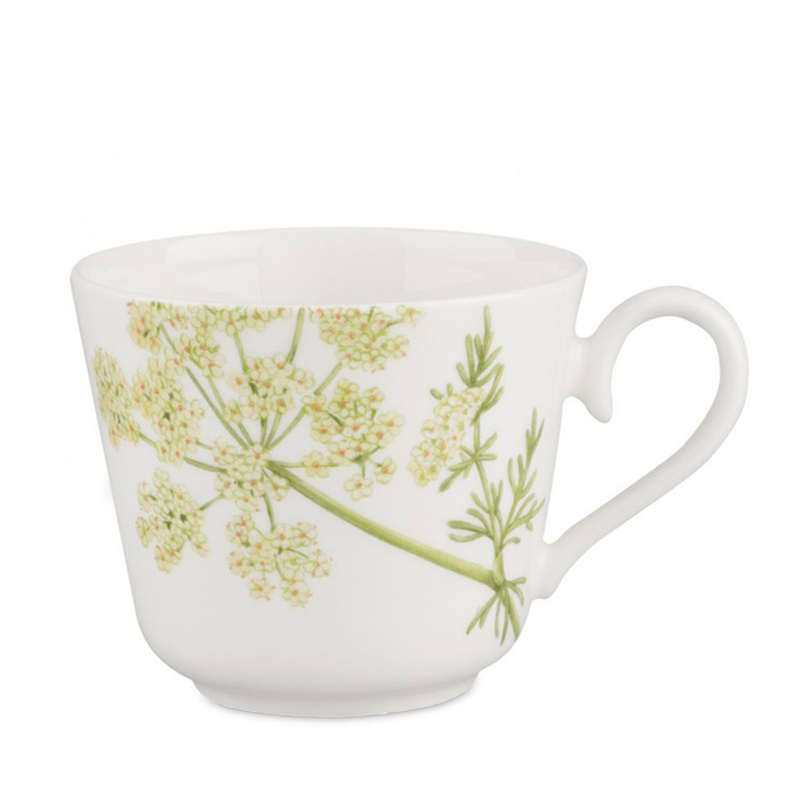 This mug belongs to a collection pervaded by a strong feeling that is elegant, classic and modern at the same time. The material with which it was created is a fine Premium porcelain that emphasizes even more its classy appearance. The decoration on this model is composed of a magnificent floral composition which stands out on a white background, creating an effect that is at the same time bright and extremely delicate and light. The sinuous and harmonious form of this piece is also given by the handle that bends in balanced and soft curves giving the whole item a delicate but at the same time well-characterized look. The cup can contain up to 0,20 l of liquid and has a weight of 0,150 kg. 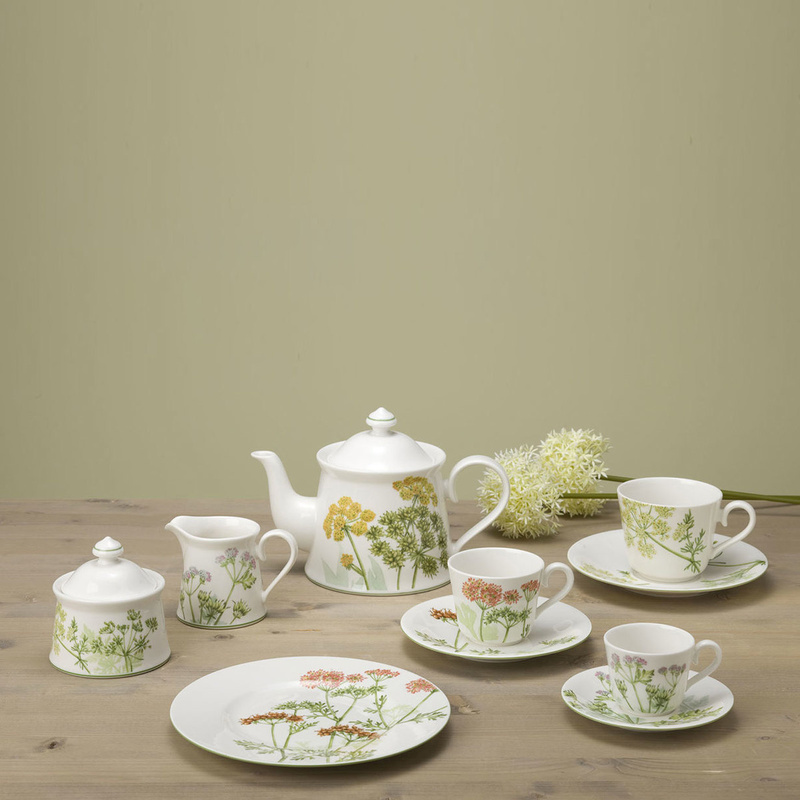 It is perfect to serve tea and coffee, or any hot drink. It is certainly the best article to begin each day with the greatest serenity and joy, thanks to its simple design that will never go out of fashion. This article can be cleaned by hand or in the dishwasher, since it's designed to be very resistant and durable over time. The only advice for a proper maintenance is to not use any aggressive detergent and abrasive pads as they may scratch and damage the surface and the painting. It can also be combined with different services to create original and personal combinations. 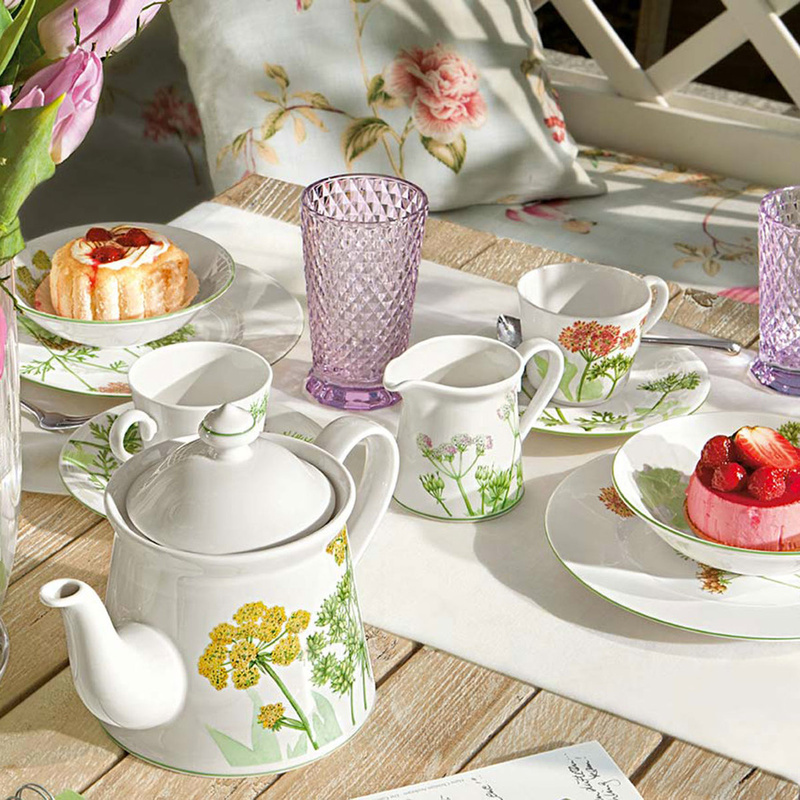 Villeroy & Boch is a German brand that has made the history of porcelain objects for the kitchen and bathroom, and also in the field of artistic tiles. It is active since 1748 and since then it has always been able to present modern collections characterized by an unbeatable quality. This popular brand has now become a leader in this branch, each line on the market is a splendid example of stunning beauty combined with functionality and exceptional versatility.